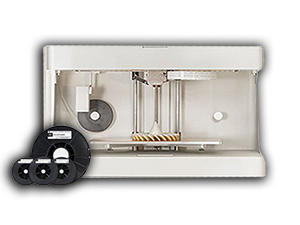 The MarkForged Mark One continues to break new ground as the first 3D printer capable of embedding continuous strand carbon fiber, Kevlar®, and fiberglass into high quality Nylon resulting in incredibly strong parts. The choice of reinforcement lets you select from best strength-to-weight, the best strength with abrasion resistance and the best strength-to-cost with the speed of iteration and learning delivered by 3D printing throughout your product-development cycle. For the first time, professionals and designers can accelerate their design cycles and make exceptionally durable parts that meet production-grade thermoplastic and metal standards. After extensive testing we’ve fully vetted our materials and included 3rd party verification data to make sure parts created on the Mark One Composite 3D Printer™ are accurate, repeatable and stable over time. We will contact you shortly to arrange a demo!